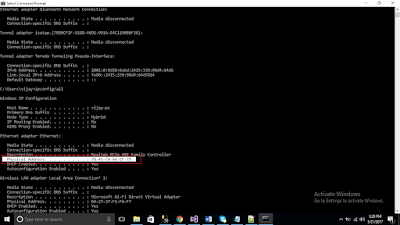 In this article I am going to explain how to get MAC address of system using asp.net. In previous article I have explained how to select recordsafter a specific record/Id in sql server, how to generate limited random numberand add hyphen after each 4th character in asp.net and how to check string isPalindrome or not using Reverse function or without reverse function in sqlserver. MAC (Media access control) address is the unique identifier of each device. 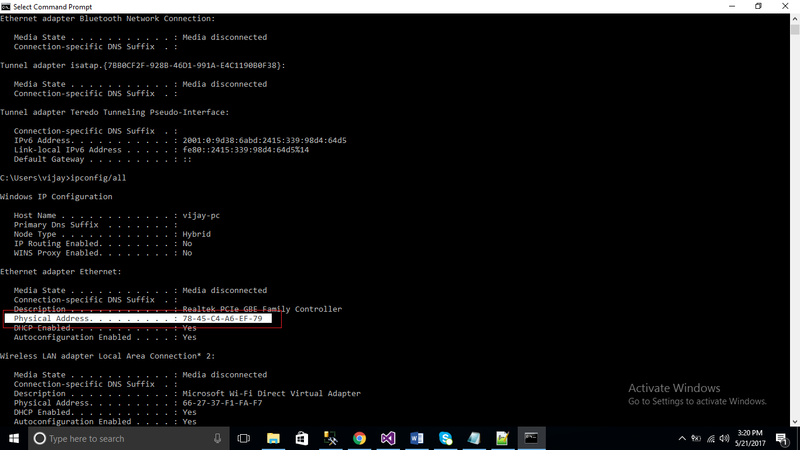 To know MAC address go to command prompt and type ipconfig/all, hit the enter button.